For months, many experts (including myself) have been arguing that the Bush Administration’s claim of privilege in the congressional investigations (and the refusal to comply with subpoenas) is untenable, if not laughable. Nevertheless, Attorney General Mukasey has refused to allow a grand jury to see the evidence of the criminal contempt by Bush Administration officials. Now, a federal judge has ruled against the Administration. Judge John Bates has found that the Administration must comply with the subpoenas in the cases of he president’s chief of staff, Josh Bolten, and former legal counsel Harriet Miers on the firing of nine U.S. Attorneys. The decision not only puts pressure on Mukasey to stop his obstruction of the process, but it clearly reaffirms the view of many that Karl Rove is also in flagrant contempt. Meirs and Bolton were previously held in contempt in the Senate, click here. This is only the latest loss of the Bush Administration in court. President Bush surrounded himself with extremists from the bar and teaching academy like John Ashcroft, Alberto Gonzales, Professor Viet Dinh, and Professor John Yoo. Even before 9-11, they tried to establish an imperial presidency model that dwarfed that of Richard Nixon. Judge Bates rejected the latest such claim and said that these officials are not immune from subpoenas. The question is now whether Mukasey will yield to this independent assessment — and the vast majority of experts — and comply with federal law. Moreover, if these officials are clearly in contempt, then Rove is an even more egregious case. 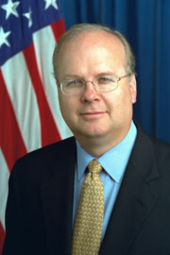 Rove virtually fled the jurisdiction to avoid testifying. The House this week reaffirmed his criminal contempt status, click here. While this decision does not directly cover Rove, the underlying claims rejected by the court are largely the same. The Democrats will likely fire off a new letter to Mukasey. However, if he will not yield to the courts or to Congress, it is time for Congress to use its own inherent contempt power. Mukasey has not only maintained an implausible argument (now rejected by the court), but he has broken a long-standing tradition with Congress. Congress voluntarily suspended these trials under its inherent contempt powers with an understanding that the Justice Department would not obstruct efforts to hold officials accountable. That is precisely what Mukasey is doing in this case, click here. And to Aaron James; my sympathies, but PM Stephen Harper is just Bush light. However what makes him more dangerous than Bush is that he’s smarter, fortunately, he has far less power in Canada. Do whatever you can to help Dion get elected. The big picture is that Mukasey, Schumer and Feinstein are ALL Zionist Jews. Their main priority is to help Israel and each other. If weakening (destroying) the Constitution is what’s required, so be it. As much as I despise all those listed above, they didn’t get to their positions by being foolish. Even Nancy Pelosi has Zionist Jew ancestors (and is a not so closeted one herself), relatives and in-laws. She isn’t putting her seat, career and reputation on the line because she loves Bush or the Republicans; she wants to help Bush because he helps Israel. She’ll help McCain too if he attacks Iran.